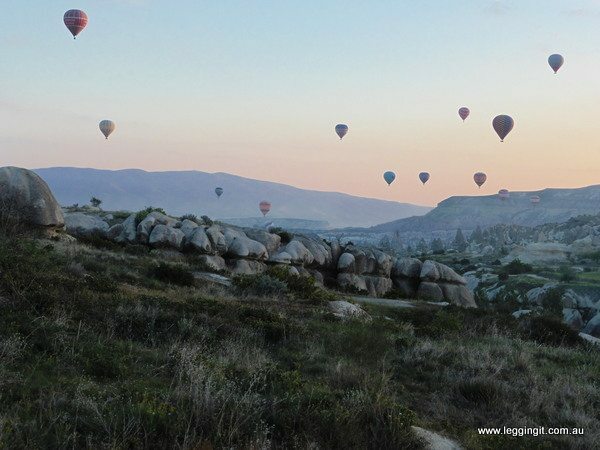 Seeing pictures of Hot Air Balloons over Cappadocia made us add this to our bucket list a long time ago and this morning we finally got to experience it. After an exhaustive online search of companies we settled on Butterfly Balloons. 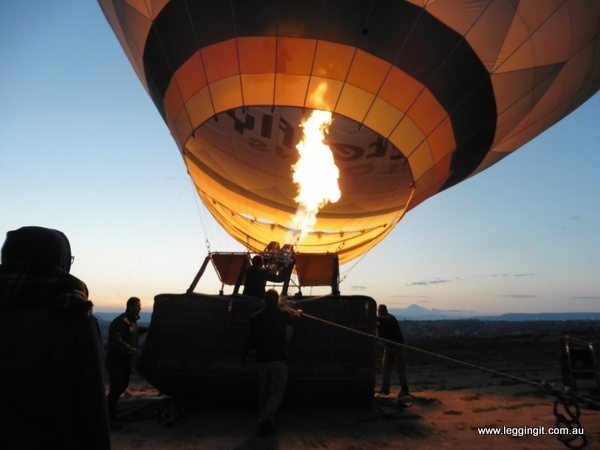 They had great reviews and after our flight I can see why they are number one on Tripadvisor for ballooning in Cappadocia, so they were our choice. We booked via email and they were very professional, explaining all the costs. 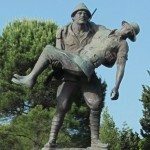 We received an email the day before explaining when our transport would be arriving and we were ready to go. On the morning of our flight, we were up early and rugged up warm. 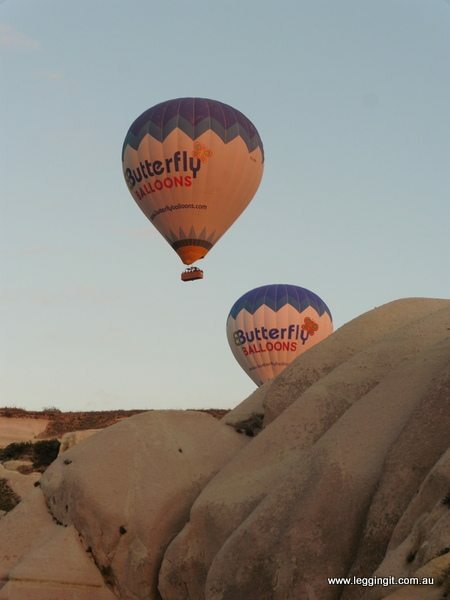 Our transport arrived at our hotel in Uçhisar at 4.15am (as organised) and we were whisked away to the Butterfly Balloon office at Göreme. We were the first to arrive and we were given a safety instruction card before being escorted through to the dining room where they’d laid on a breakfast of fresh fruit, cakes, breads and drinks. It was a lovely setting with a real Turkish feel. Soon other people started to arrive on buses from all the different hotels and pansions around the area. In a short while the dining room was full of people all buzzing with excitement. 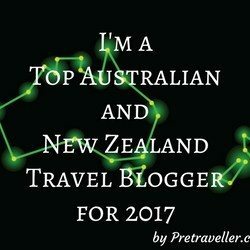 We met up with a really nice young couple from Melbourne, Adam and Sarah who have taken a year off work and are travelling the world. 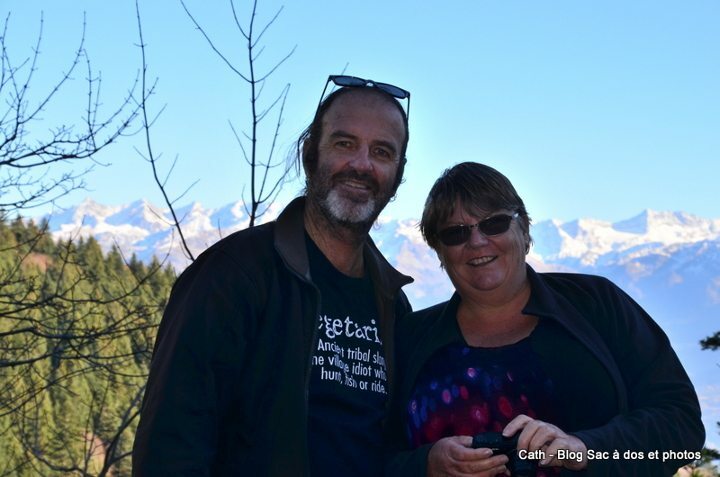 They are at the beginning of their journey so were keen to chat about places we had been. After everyone had arrived and breakfasted we were ushered to our different buses for the trip out to the balloon launching area. The drive out weaved through the cobbled streets of Göreme with great views of the rock formations which have been hollowed out to make houses. In the predawn light the landscape looked amazing. Arriving at the launch site we found four balloons in the process of inflation. Each bus parked near its respective balloon and after a few minutes our pilot, Mustafa called on everyone to board. Michele was starting to become a little scared but the ground crew assured her everything was ok and helped her into the basket. They were really nice and very professional. I was the last to board and placing my feet into the foot holes in the side of the basket clambered in. The basket was divided into four passenger sections containing four people and a separate section in the centre for the pilot. Once everyone was onboard our pilot Mustafa gave us a reminder of the safety instructions and the position for landing. Getting up into the air wasn’t as simple as turning up the burner and flying off into the sky. There was a slight crosswind so the ground crew chief kept the basket tethered until it started to raise vertically. Soon we were rising up into the air as Capadoccia came alive in the predawn light. The flight took us over different rock formations with our pilot Mustafa guiding the balloon down into the rocky canyons so that we could see the formations up close. It was amazing seeing the houses carved into the volcanic stone like something from the Flintstones cartoon. We had great views of the other Butterfly Balloons as they drifted in and out of the canyons. As dawn broke the sky was filled with around seventy balloons. 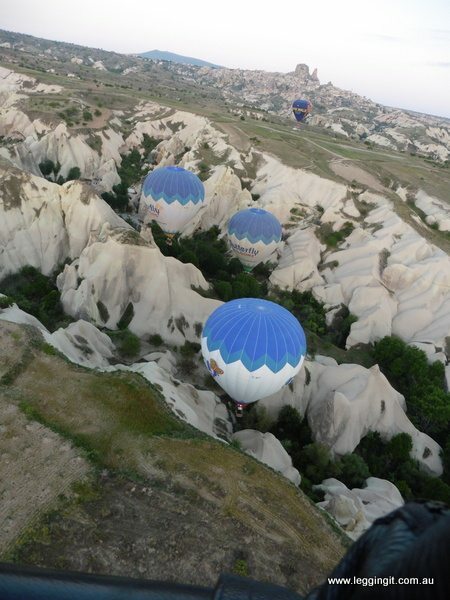 Seeing pictures of ballooning in Cappadocia just doesn’t compare with the feeling of being there. The landscape around Göreme is just unbelievable with all the fairy stacks and specially coloured formations such as the red cliffs of rose valley. Looking at the roads below we could see the support vehicles like a scene from wacky races as the landrovers towing trailers and the mini buses competed for the road. When our landing area came into sight Mustafa dropped the anchor line before expertly controlling the descent until the trailer was manoeuvred under the basket. Meanwhile the ground crew chief had secured the anchor rope to the trailer and working with Mustafa inched the basket until it was secured firmly. After the lashings were secured, Mustafa started the deflation process and we started disembarking. The ground crew chief helped us out of the basket which was a really nice gesture. 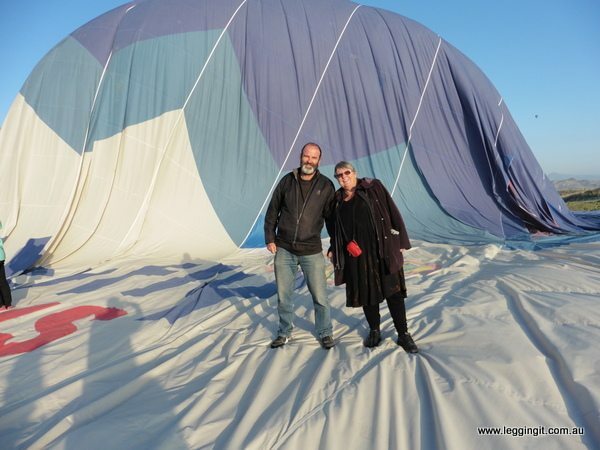 The balloon quickly deflated and we all got a chance to take photos on it and feel the fabric. It was really lightweight but obviously hardwearing. As the ground crew started packing the balloon, flowers were arranged on the basket, and a table laid with champagne and cake to celebrate our successful flight. With our glasses filled we toasted Mustafa and the crew at Butterfly Balloons for a successful flight. It really matched our expectations and more. In just one day in Cappadocia we’ve visited an underground city, explored a monastery carved in rock, stayed overnight in a cave, and visited strange fairy land rock formations. 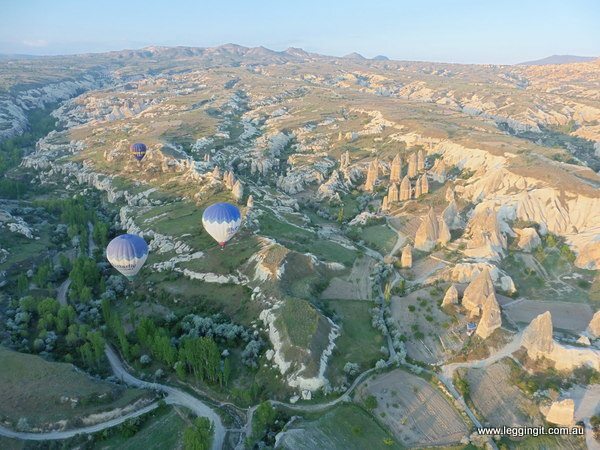 Ballooning in Cappadocia is just the icing on the cake. 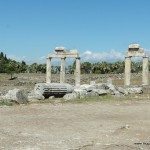 As a side note it’s sad to see that tourist numbers are down in Turkey. Many people are scared away by the media hype. 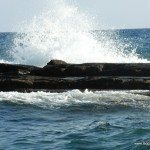 Our friends at home who watch the news, see the reports and send us messages to stay safe and be careful. Since we’ve been here we’ve felt extremely safe with quite a visible police presence wherever we’ve travelled. 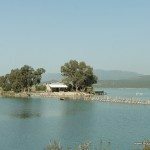 Now more than ever is the time to visit Turkey, as tourist numbers are down there are also bargains to be had. 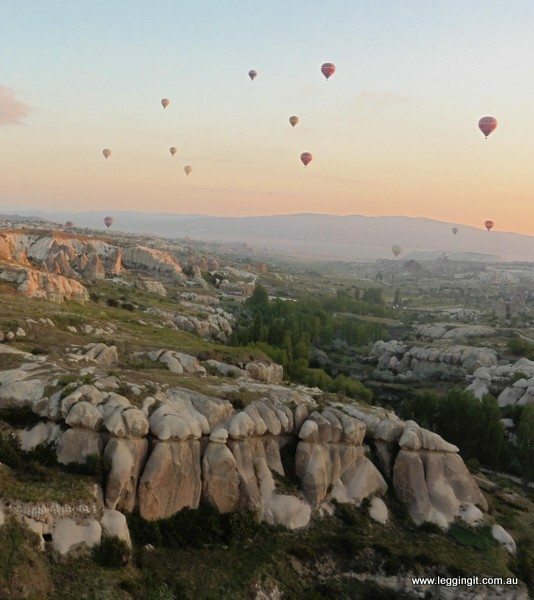 If like us you want a bucket list experience we highly recommend packing a warm coat and going ballooning in Cappadocia. 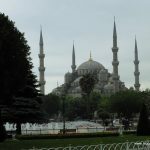 As for the Turkish people, we cannot say enough about their hospitality and friendliness. 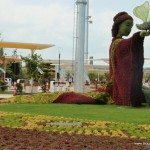 We only hope that learning from the Turkish example we can be equally hospitable to tourists and foreigners in our own country. Butterfly Balloons gave us a discount for our flights. As always, all views are our own and the content of this review was never discussed with Butterfly Balloons.